Hudson’s Bay, the official fashion retailer and red carpet sponsor for the 40th Toronto International Film Festival (TIFF), along with partners Entertainment One and Bleecker Street, celebrated the biopic Trumbo with an upscale post-premiere cocktail party at Montecito, one the city's hottest restaurants. Trumbo cast members including Bryan Cranston, Elle Fanning, John Goodman and Michael Stuhlbarg toasted the film’s premiere alongside Liz Rodbell, president of Hudson’s Bay Company. 300 guests enjoyed a 40’s-inspired cocktail party including signature drinks, décor featuring Hudson's Bay signature stripes and music by DJ Alex Merrell. 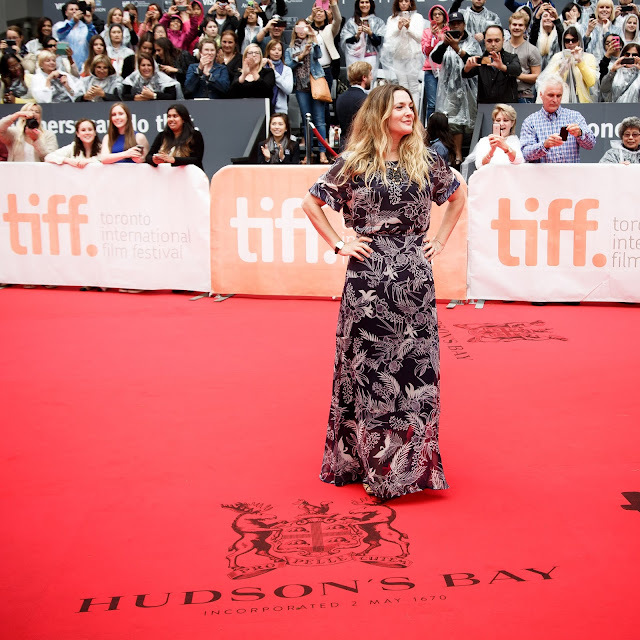 Here is also a recap of this past weekend’s Hudson’s Bay #StarsOnStripe at TIFF: Helen Mirren walked the carpet in a Hudson's Bay signature striped shawl, Drew Barrymore, Matt Damon, Helen Mirren, Jessica Chastain, Kate Mara and Mackenzie Davis all looking stylishly-chic and festival-ready at Roy Thompson Hall.